How To Answer Awkward Questions About Your Baby? 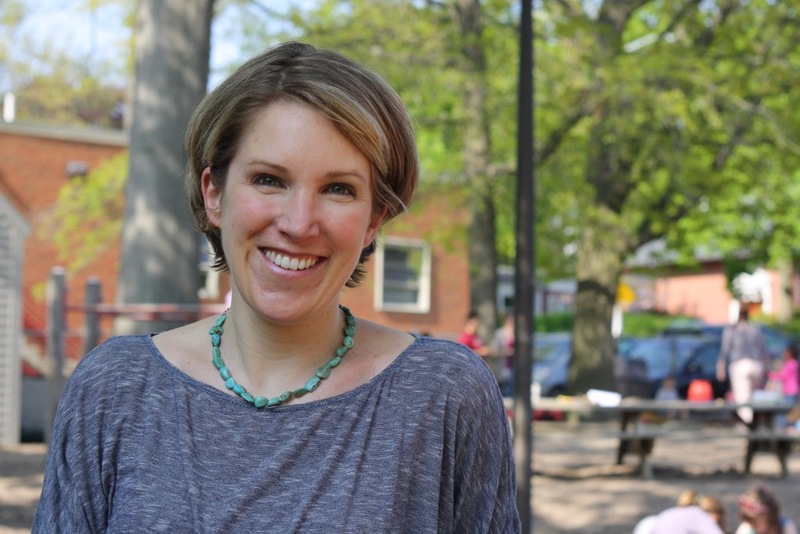 Amy Mendillo is a health writer-editor based in Providence, RI. Her forthcoming book, an insider’s guide for families of kids born with cleft lip and palate, will come out in Fall 2020. Visit www.parentsandclefts.com to learn more. When Jessa first shared the news of her infant son’s cleft lip and palate with close family members, their reactions surprised her. * Ordinarily, Jessa’s parents and relatives responded supportively when challenges arose. This time, unfortunately, some of their comments stung. “My mom doesn’t understand why my baby can’t breastfeed,” she started. “My grandfather refers to my baby’s cleft as a ‘harelip,’ and a friend’s mom has told me that I need to ‘warn people’ before they meet my baby so they aren’t caught off-guard by her defect.” If the remarks had not been so hurtful, Jessa noted, the collection of statements would almost be laughable. “I have handled these situations both well and not so well,” she added. Interacting with family and friends can be a particularly sensitive topic for parents of kids born with cleft lip and palate (and for parents of children with other conditions). It is stressful enough to field a thoughtless remark about our baby from a stranger in the grocery store—or for that matter to simply anticipate that thoughtless remark. It can be quite a bit more complicated to hear similar comments from loved ones who make up our trusted support system. As a health writer-editor working on a book for families of kids born with cleft lip and palate, I have interviewed more than 70 parents over the last several years to hear about their experiences with their child, particularly during their baby’s first year. In listening to stories and insights from these parents—and in some cases interviewing more than one generation within a family—I noticed that in many instances close family members lack basic information about cleft lip and palate and the related issues that occur during the early months of life, but also about how emotionally sensitive these topics can feel to a young parent. Jessa’s mom was not wrong to wonder why her grandchild could not breastfeed—after all, she was new to the subject—but she was also unaware that expressing that question repeatedly and in blunt terms might be distressing for her daughter. Fortunately, there are ways to help these interactions go more smoothly—both for loved ones and parents. One chapter in my book offers techniques for close friends and family members to consider, including tools for active listening, ideas for supportive gestures, and specific sample phrases—all based on academic research, interviews with professionals, insights from parents, and my own experience as a parent of a cleft-affected child. I explain, for example, why the term harelip and other “hot words” don’t hold up anymore. (Jessa’s grandpa can learn the news from a friendly third party! ), and provide anecdotes that reveal some ways parents feel about their baby’s appearance—so that loved ones can have a starting point for understanding our perspectives. As parents, of course, we also play an important role in improving communications with loved ones. To start, we can be as honest and direct with family members as possible about our child’s condition, whether we are discussing medical information or our own feelings. These candid conversations may feel uncomfortable at first or even require advance preparation in order to get the words just right. We can also do our best to be constructive with family members when a conflict arises, make an effort to put ourselves in their shoes, and try—try!—to give them the benefit of the doubt, especially if we know they mean well. They, too, may need support as they process the news (even if that support doesn’t have to necessarily come from us). We must be mindful of generational differences—not to excuse old-fashioned biases, but to be aware of our parents’ personal histories, perspectives, and even conversational styles. Sometimes our loved ones, especially grandparents, need time to learn more about their new family member’s condition. Right after her daughter was born, Kristen recalled hearing hurtful comments from her own mother. Then time passed. Kristen’s mother started to take care of the baby on Fridays. “After that, she didn't say anything about it,” Kristen continued. “Everyone fell in love with her lip, even my mom.” Sometimes, family members need time to wrap their head around a situation and accept it, even if their initial response sounds shocking and insensitive. As parents, we, too, often need to seek the same time and space to process our emotions around the birth of a baby with a cleft lip and palate. My hope is that by hearing stories from others, learning ideas, and methods from current research, family members of all generations can adapt, cope, and even grow from it together. 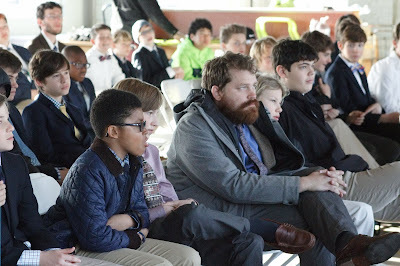 Zachary Dunn and his Mom and Dad, Jeff and Whitney were invited to speak at Seven Hills School for just under 100 middle school students in March. 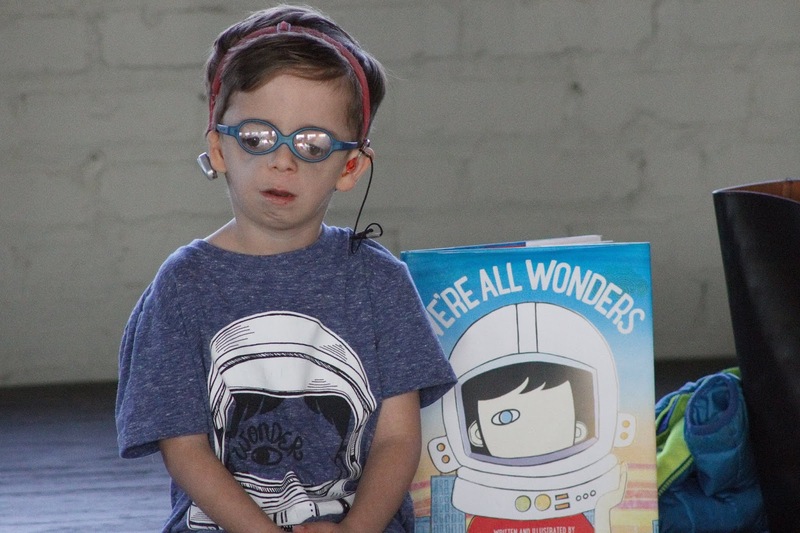 The students recently read the book "Wonder" in their classes before they heard the Dunns bring the story to life Zachary was born with Treacher Collins syndrome. 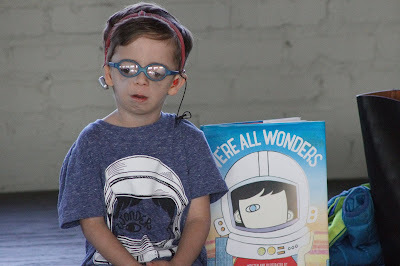 August Pullman in the book "Wonder" has a similar facial difference. They shared ways their lives as parents have changed after having Zachary. 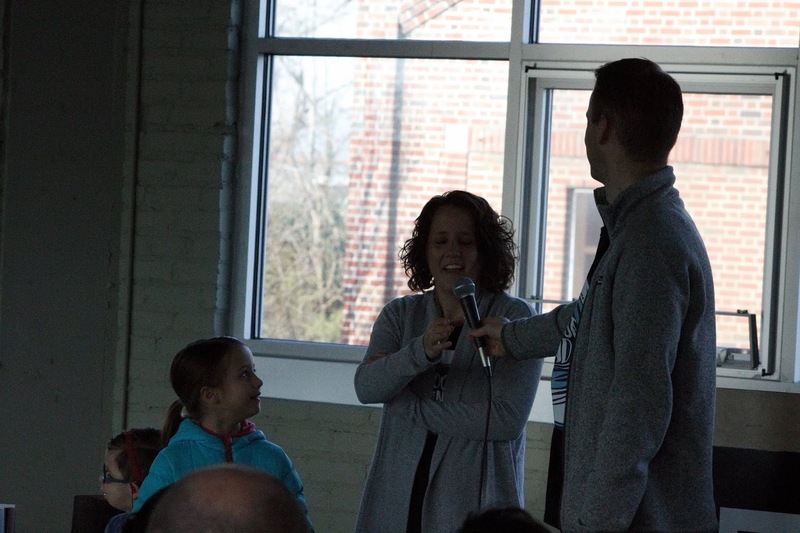 Students learned from the Dunns how to be more empathetic and accepting, and encouraged everyone to always choose kind. 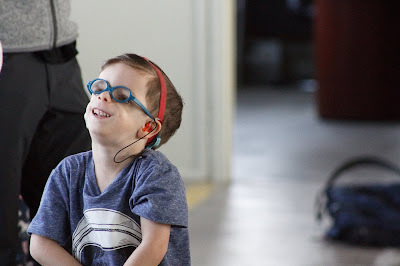 The feedback from the teacher gave high praise to Zachary's parents' ability to share their personal experience of having a toddler born with Treacher Collins syndrome. "The Dunns were so engaging and made an instant connection with the audience. They had them participate and contribute to the conversation and that goes a long long way with this audience." Editor's Note: This article written by Ysa De Lauro was originally published in her student newspaper for their features section series "You Name It, I Overcame It." She shares with us one of the last major surgeries she had and how she made it through with a smile on her face and courage in her heart. Be Brave. Be Strong. Be Fearless. These words are embroidered upon an artsy throw that my family gave me. These are six simple words. Together these phrases produce quite a motivational message. My name is Ysa, and I’m a junior here at South. Like most teenagers I have had my share of challenges. Mine include being born with Crouzon syndrome, having severe to profound hearing loss, and struggling with typical insecurities like doing well in school and finding the right college. Well here is my story. Waking up the morning of December 13th was exciting. I had waited patiently for seventeen years to come to the end of my series of surgeries. This surgery marked a milestone. I counted it as my eighteenth and nineteenth surgery. What this day meant to me was that I was almost done. I was relieved and excited. Surprisingly for such a major surgery, I wasn’t nervous. I was energized and eager. At seven in the morning, we headed to the hospital. It was my mom, my dad and me. We checked in the hospital. Ironically, I had just been there eight days before due to an endoscopic nasal surgery. That was a simple procedure compared to this one. I waited patiently. I was all smiles anticipating the outcome of this day. They called me back to presurgery, took my vitals and added another two bracelets identifying me and my allergies. I changed into a pale blue hospital gown and dressed my feet into fuzzy cat socks, which I got plenty of compliments from. I met with the administrating nurse that gave me a synopsis of the two upcoming procedures. The first was a tumor on the right side of my forehead that resulted from a surgery when I was two. There was a hole in my skull, which the neurosurgeon would repair and use a bone graft from skull. My second procedure was a midface advancement of twelve millimeters. This would drastically change my bite and overall appearance. Altogether, these procedures would take approximately nine hours. Shortly afterwards, I had two IVs (in the vein) and one arterial line (in the artery) administered. This to me is the most stressful and scariest part. I absolutely hate needles! So to me the worst was over. Well, kind of. Now, I was wheeled off to surgery. This is what I remember from that day. However, ask my parents their version of this story and they would have a very different one. My parents would sit in the waiting room, worrying and anxious. After the first hour or so, my craniofacial specialist came out to inform them that the first surgery was going well, but and here is the but, the neurosurgeon insisted that they would have to shave my head. This was devastating news to them as they had no prior knowledge and greatly feared my reaction. My hair had been my pride and joy. I used to love styling it and I used to love buying new products that changed the texture of my hair. It was something I looked forward to every morning, deciding what hair style I would wear for the day. My mom asked me while in the hospital if I wanted to wear a wig, but I said no. Because the girl with the long hair was gone. Because I realized that I didn’t need to hide behind my hair anymore. Because after looking at myself for the first time in the mirror at the hospital, I didn’t see myself. Instead, I saw this beautiful, strong, confident young woman that wasn’t afraid to show the world who she was. My short hair exposed all of my scars from my previous surgeries, so I was able to show the world all of the battles I have fought. This surgery has helped me find my inner beauty. Then the second punch in the stomach, if the craniofacial specialist couldn’t advance my midface out enough, they would need to attach a metal contraption called a halo. This would be an external device that I would wear for approximately three months. I had this when I was five. Again, this was the first time that this was discussed. So my parents agonized over the news and did their best to be patient and calm. The neurosurgeon eventually came out with the news that the first procedure was complete and successful. So now it was the craniofacial specialist’s turn. The incision was ear to ear (kind of like a headband across the top of the head) and he was to cut through my midface, free it and advance it twelve millimeters. He would align my teeth and then set everything in place with four titanium plates. Somewhere during this procedure, another specialist entered the picture. It was the ENT. When the craniofacial surgeon exposed my nasal cavity, he had retrieved the ENT. It was only eight days prior that the ENT had attempted to remove a polyp that was in my left cheek. He had been somewhat successful, but was unable to remove it entirely. Well with the cavity exposed, the ENT removed the entire polyp. This was a bonus and meant that I would not have to proceed with the surgery that was tentatively scheduled for the upcoming summer. The surgery ended about nine hours later. All three procedures were successful and now the tough part: recovery. Still unconscious, I was wheeled into ICU. The plan was that they would keep me unconscious for several days. 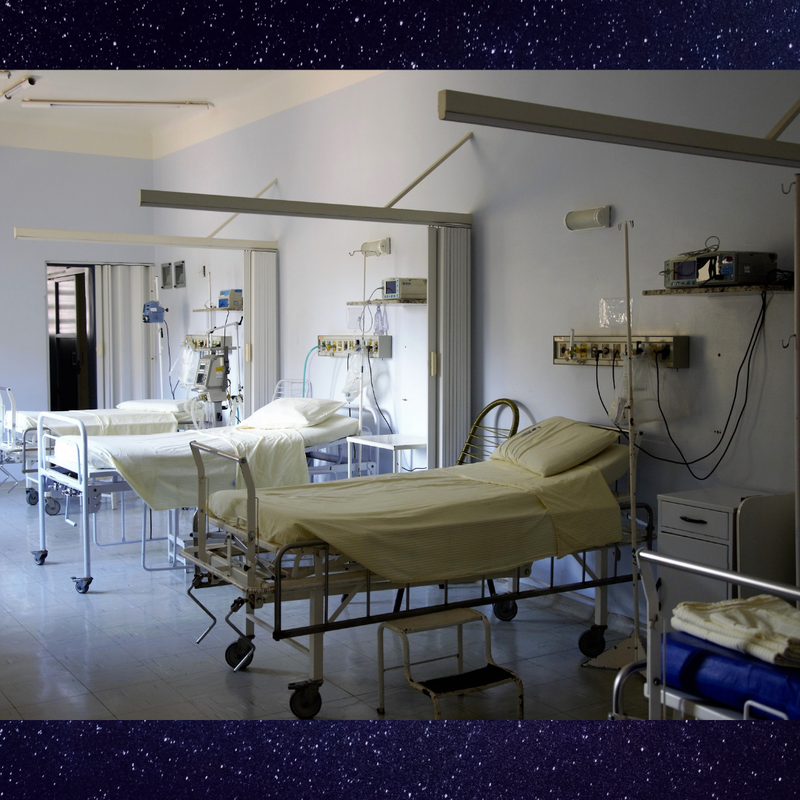 The thought was that they could control the pain and give my body a chance to start healing. Well, that was the thought. However this was not the case. During the night, I became quite agitated. The night nurse said that was common. At 5:30 a.m., I began to gesture and my dad immediately stated that he thought I was trying to write something. 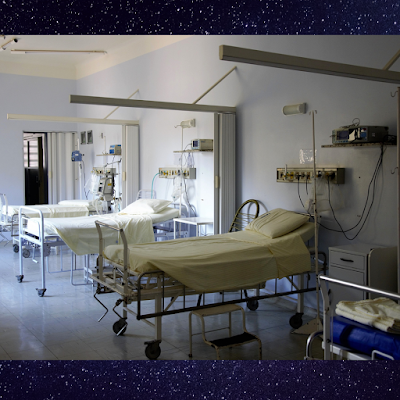 Understand that my eyes were swollen shut: I was hooked up to a multitude of machines. There was a main drain coming out of my head. In addition, I was intubated (meaning I had a huge tube in my nose to help me breathe) and my mouth was fastened shut with heavy rubber bands that were attached to my braces. I had no way of communicating. My dad rustled up a paper and pen. I wrote, “I can’t see.” The nurse was astonished as were my parents as I was to be in a sedated state with no recollection. Obviously this wasn’t the case. I was aware of what was happening. Actually I feared that I might be blind. My parents later admitted that they shared those fears. So this was the beginning of several stressful days. My pain was regulated by an endless series of medication. I communicated my concerns and fears through pen and paper. I wrote, “Will I ever get better?”, “No more surgeries. It hurts.” and “Are we leaving today?”. I struggled with the idea that I wouldn’t be able to see (my eyes were extremely light sensitive) and swollen shut. They attempted to extubate (remove my breathing tube) without realizing it was sutured in. One of my IVs was compromised so my hand literally blew up the size of three normal ones. Then I came to the realization that my hair was gone. My head was wrapped up. My parents said they were dreading this conversation, but was amazed at my calm reaction and grace at this news. So fast forward, five days. Four days in ICU and one day in step-down ICU, and after some serious pleading, I was discharged to go home. Life was good. No, life was great. I was going home. I had severe swelling in my face, my mouth was fastened close, and numerous scars exposed from this surgery and the past. I was the spitting image of the character Eleven on Stranger Things. I was scrawny (living off of liquids which I ate through a syringe), had a fresh crew cut (thanks to my neurosurgeon), and a constant drainage of blood through my nose. So why am I sharing this story? What did I take away from this experience? I learned that my hair didn’t define me, even though previously it had been my pride and joy. I learned that my family, my friends and my supporters are truly precious. I learned to be strong and stand tall when faced with constant questions and stares. I learned that by sharing my experience, I have encouraged others to find their own strengths. I have learned that I can endure. I have learned that I am indeed, strong, brave and fearless. I am hoping that you too will learn that you are stronger than you realize. It is that time of year. Graduation. Commencement, or the end of education provided by the state are all right around the corner. Parents hope that with each year their children grow and become more independent. Independence is encouraged, so long as there is a structure to each day, a beginning, a middle, and an end. So what do your budding adults do next? If you are thinking about taking a gap year, consider volunteering or an internship. 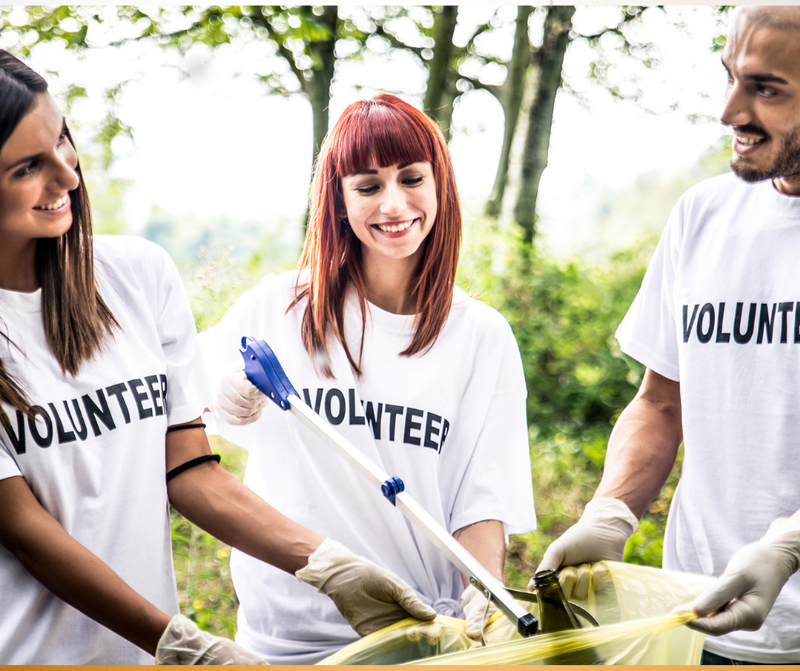 Think about the activities and things that interest you and find a volunteer opportunities near you. If you like animals, the ASPCA has chapters all over the country. If you like people, find a museum, church, or service organization that helps people. A great place to search for paid and unpaid internships is Indeed.com. Local council on aging, hospitals, and homeless shelters are always in need of an extra pair of hands. As a volunteer or intern, you will gain on-the-job skills, increase self-awareness, and interpersonal skills. For adults in need of additional care, a day program could assist in helping you and your family improve the structure within your homes. One place to start would be looking for an adult day program in your area. Head over to Google and use the search terms "local resources for adults developmentally delayed." Or try placing your state or region name in the search box and include the terms "adult day programming" to see what comes up. Let's take Texas as an example. What came up as a result of the above search? A helpful list of Home and Community-Based services in Texas. In addition, there are Texas Health and Human Services's Local Intellectual and Developmental Disability Authorities Directory. Each state should have some resources like these. The Arc is a national nonprofit that helps individuals with intellectual and developmental disability live active and engaged lives. They have chapters in each state. Please look up resources near you, if you need them. Now, to be clear, I am not talking about "Adult day care facilities," but I am talking about a place where an adult with mildly compromised cognitive and intellectual abilities could go to grow their vocational, leadership, and interpersonal skills. For example, Texas has a list of a variety of different places that fall under the category of adult day care or adult day facilities. Many of them are for people that need round-the-clock medical and physical care. Others may be more geared to higher -functioning adults. There is only one way to find out what each facility has to offer, call or email to ask questions. Adult Programming - What To Ask? Be sure to review what each location has to offer, where they are located in relation to your work or home, and the kinds of needs that your newly-minted adult requires. You must keep all these elements in mind when searching for the right placement. Ask lots of questions about the locations: cleanliness, services, and how they interact with the communities they serve. If you know another family in the day program's community, ask them what they think of their experience. Ultimately, finding the right place is like developing a friendship or relationship, you will know the right fit when it comes along. While money and job training are nice, the goal is to achieve a daily routine as your young adult transitions our of school and into the real world. Think about the flow of your day. In the morning, you wake, shower and have breakfast. Then you go to work. At lunchtime, you stop, eat something, or maybe work out. You return to work and finally return home for dinner and time with the family. This is how we go through our days. Adults with disabilities need this structure, too. Without it the abilities and knowledge they do have will wither. Socializing will become more difficult and overuse of TV, social media, and other technology could turn into an unhealthy outlet. Humans are creatures of habit and routine. Finding a place where the adult in your home can go to work, volunteer, intern, or be part of a community in a day program could open them up to improved socializing, sky rocketed self-esteem from a hard day's work, and a bunch of new experiences they can share each night at the dinner table. Did you know that more often than not, people who are compassionate to others, are downright mean to themselves? They are forgiving of others, but extremely harsh on themselves. They are overly committed, work extremely hard, and always strive to do their best. When things go well, they hardly take notice. Yet, when something goes wrong, they are the first person to blame themselves. They then berate, condemn, and speak to themselves in a harsh voice. They go on and on about what they 'should have' done, or not done. Oftentimes, the self-deprecating rant goes on for days only to accomplish nothing. Sound familiar? Do you know someone like that? Maybe yourself? I'm describing something I call 'self guilt,' as opposed to real guilt like the guilt felt after committing a crime or being hurtful to another person. Basically, self guilt is a feeling we 'sentence' ourselves to for something that's difficult to understand. Most often, we see this feeling arise in people who have experienced trauma. You are in a car accident. Before you even step out of the car, you are taking blame. You were abused as a child or adult, and blame yourself for provoking the abuser. You are a mother and berate yourself whenever something wrong happens to your child. Or perhaps, you are a parent of a child who was born with a facial difference. You constantly find fault with yourself. You obsess about what you could have done differently even though. intellectually you know the truth. Emotionally, you blame yourself and live in a constant state of guilt. Guilt is a way to explain that which we cannot understand. It's almost always about putting the blame on ourselves, when we are not at fault. No one is. This is especially true for parents who have a child born with a facial difference. Whatever the doctor told you about the genetic origins of the craniofacial condition is often dismissed. Putting blame on yourself somehow feels more logical, even though in truth, it's false. The idea of self-blame and self-guilt comes from the very human desire for explanations. Parents feel very, very responsible for the well being of their children. Once again, when things are right, we feel good, but when things are wrong, we tend to beat ourselves up. 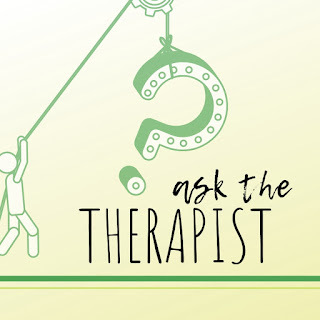 As a therapist, I routinely see people who are highly anxious or very depressed as a result of having a child born with varying medical conditions, mental health, or behavioral issues. While we assume that the guilt, anxiety, and depression are a direct result of the event, in this case the birth of a child, it's actually not true. The emotions actually are born of our own ingrained, personal thoughts and beliefs. We have carried these emotions, beliefs, and thoughts with us for most of our lives. Most of these thoughts manifest themselves on an unconscious level. In therapy, I work with parents to untangle these beliefs, thoughts, and emotions. Parents universally come to therapy with feelings of guilt. They start off by telling me what they think they did wrong during their pregnancy and how they are currently feeling badly about their child's health, happiness, and social issues. They speak in terms of absolutes. I often hear phrases like "It's all my fault," or "My child is suffering because of me." These parents go on to tell me that they are constantly feeling anxious and upset. They worry and second guess their decisions about medical procedures. They imagine that their child is taking a turn for the worse. They are concerned about bills and the high cost of medical procedures. Eventually, they begin to doubt their abilities and feel inadequate for not being good enough. They feel both overwhelmed and upset. It's very common for nervous parents to wind up as highly, depressed parents. They have problems coping with life and end up feeling hopeless and sad. Feelings happen not from the event, but how we think about the event. So while it was shocking to hear the diagnosis, and natural that we would experience a myriad of emotions, we must understand that these thoughts and feelings are falsely created in our own minds. I say this, not to blame you, but to inform you that sometimes our own mind can be our worst enemy. Most of us have no idea that our thoughts and feelings are connected. Here's the good news. 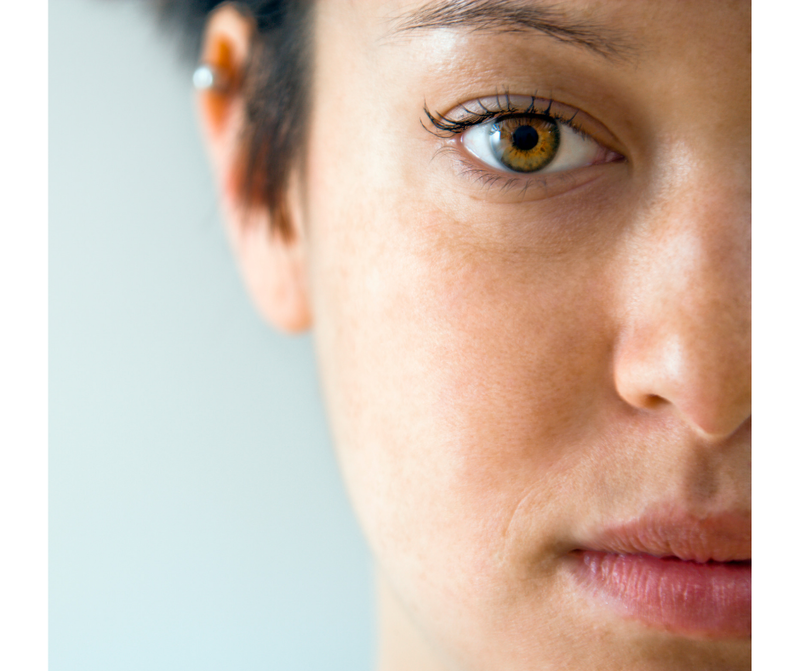 You can learn how to manage the thoughts that trigger bad feelings. You can learn how to identify how these thoughts, or cognitions, are simply not true. The goal is not to think positively. Rather, the goal is to think rationally, or in a more balanced fashion. 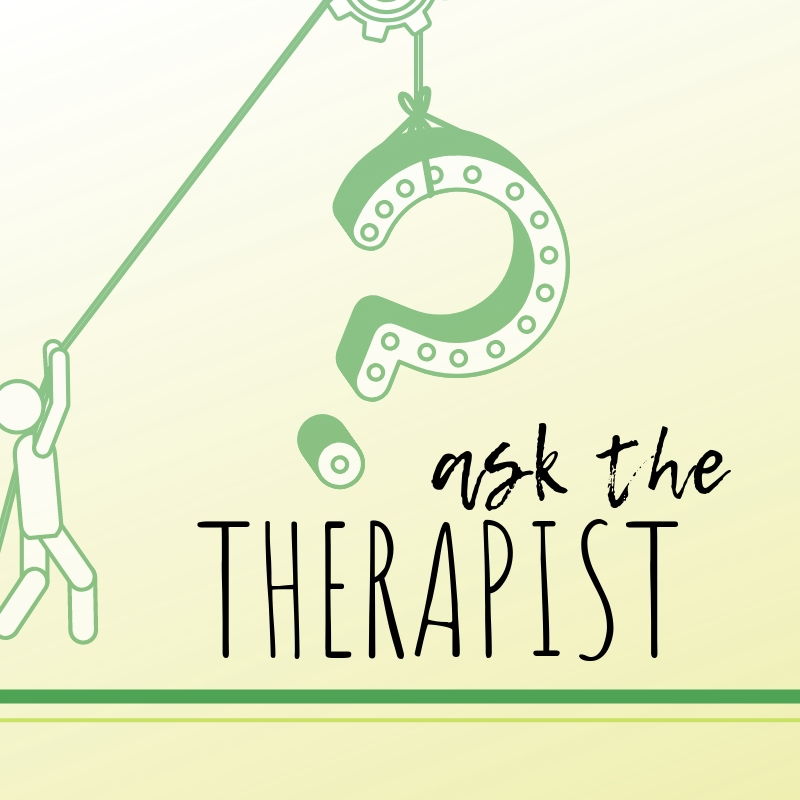 I often utilize a type of therapy that is known as Cognitive Behavior Therapy (CBT). CBT is considered to be one of the most cutting-edge, effective ways to manage feelings that get in the way of living happy, productive lives. CBT helps you look at your thoughts, identify the distortions, and reframe them in order to see a more realistic truth. "It's not fair that my child has to go through this." "This is all my fault. I'm the one who created this child and they are suffering because of me." "This is just the beginning. What if this bullying gets worse and worse?" I'm sure you know the answers, but just in case, let me clue you in. Whenever we have thoughts about things not being fair, you are going to feel angry. When you blame yourself, you are feeling guilty. And, when you worry about the future, you are guaranteed to feel anxious. Upsetting feelings are almost always a byproduct of a thought. And nearly all of these upsetting thoughts have some kind of cognitive distortion. When we think in terms of self blame, we will feel guilt. The feeling of guilt is something that was most likely learned in the past, instilled in us while growing up. CBT will help you to unlearn this pattern of thinking, replacing it with more helpful ways of thinking. Going back to the example of a child getting bullied, we can learn more helpful ways of thinking. I refer to this as neutral thinking. Neutral thinking allows us to observe and accept a situation for what it is. If necessary, we then can think calmly about any actions that are necessary to take. We learn how to behave rationally as opposed to emotionally. You might believe that experiencing guilt can be helpful, and you have a point. Guilt is an emotion that basically keeps us from doing wrong and many would say it helps keep a moral compass. However, if you make a list of how guilt helps, versus how it hurts, chances are good that you will find it hurts more than it helps. That's where I tell my clients to 'dial it back'. Instead of feeling guilt at one hundred percent, maybe you'd like to feel it at thirty percent or less. Guilty thoughts center around disappointment. You feel as if you didn't live up to the high, oftentimes, unrealistic standards you impose on yourself. These thoughts generally have a 'should' statement attached. 'I should have done this, or 'If only I'd done that.' How are these thoughts helping you right now? They are generally thoughts that relate to the past. Can you go back in time? Do you have a time machine? My guess is that you don't. Instead of beating yourself up, it's far more productive to speak kindly to yourself. Talk to yourself the way you would talk to a good friend who was going through the same thing that you are. You would not judge. I bet you would remind that friend of all the good things they've done. Ultimately, you'd give the friend a big hug. Sometimes we need to give ourselves that hug. We need to remind ourselves that we are doing the best we can despite a boat load of challenges. Most of you were ill prepared to raise a child with a facial difference or medical challenges. You literally had to take a crash course in both childrearing and the complicated diagnosis, while keeping up with the daily responsibilities at work and at home. It's a lot! When you find yourself speaking in absolutes or predicting a future that you can't foresee, stop. Take a deep breath and fight that negative thought with the truth. You'll find that almost all of our absolute thinking contains many shades of grey. Our faulty thinking does not provide the answers we are seeking. Be gentle with yourself, focus on real truths, like the good you do rather than thoughts that scold or admonish you. Guilt brings us down while compassion brings us up. Be as good to yourself as you are to others. Be aware and conscious of your thoughts. Guilt is a a self-imposed emotion. It is based on our own moral standard of what we believe to be right and wrong. Generally speaking, it's based on the idea that we have to be perfect in order to be good. The feeling is almost always factually incorrect and unhelpful. Self guilt is always felt by people who are inherently good. We have good intentions and want to do our very best. The problem is that the feelings often work against us. We end up feeling disproportionately bad about ourselves. That's simply not fair. The good news is that we can learn how to mange these emotions so that we can think more neutrally. Neutral thinking will allow us to see things clearly and make good, sound decisions based on fact, not feeling. Learn how to be good to yourself. Remind yourself of your own worth and value. Instead of focusing on what you did wrong, tell yourself what you did right. Stay in the moment. Learn self love and acceptance so that you can share these positive emotions with your family.